Our customers often ask about the range of colours available for our fully fitted shutters and below we give you some idea of the most popular that we install. However, there is no end to the range of colours available and in fact almost any colour to compliment your room is available. You can also have a single painted colour, a stained or wood effect. For an extra 20% charge you may wish to order a colour based on the Classic RAL Colours for plantation shutters or even the iconic Farrow&Ball Colours for Plantation Shutters colour range. 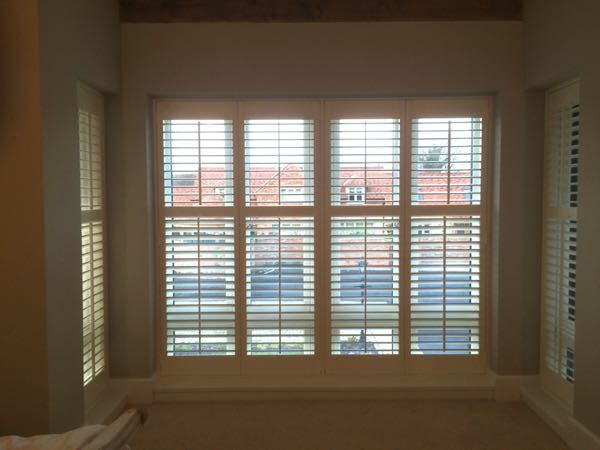 One of the questions we often get is can you fit our shutters into circular bays. 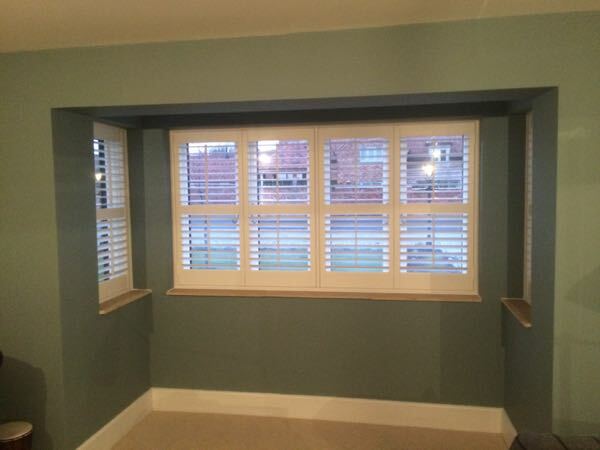 We have fitted literally hundreds of shutters in the most unusual window bays and other places – Some of them have been in extremely awkward locations within a property, but somehow we meet the customers expectations. 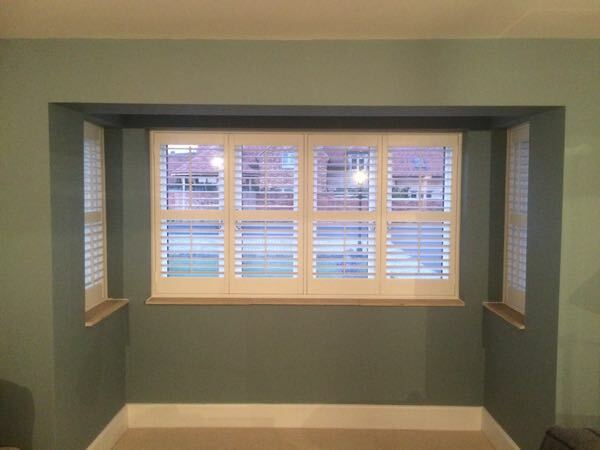 In Woking we fitted Full Height shutters with mid-rails with a central tilt rod. Full Height shutters with mid-rails with a central tilt rod. 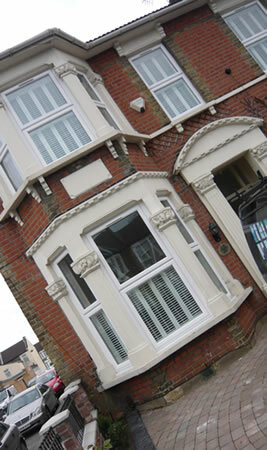 Cafe Style Shutters are probably the most recognisable of all the shutters you’ll see. When you look at them, they probably conjure romantic ideas of french cafes, the wafting fragrance of the French cigarette Gauloises – red wine being sloshed into glasses, by jovial french citizens. Although Cafe Style Shutters, otherwise known as half height shutters have been around a long time, they are extremely practical for privacy as well as for letting plenty of light in. They work well with bay windows, but look very good adorning any kind of window frame. They work particularly well with tall windows and shutter frame normally covers half the height of the window – hence the name. Half Height shutters have been around for over 500 years, in fact if you look at some images of the Tudor mansions of that time you will see that actually had this style shutter. Glass was of course expensive and hard to get hold of, so a lot of homes that were built with window openings had glass at the top and solid planks which were pushed outwards to let the fresh air in or let the smells out! English poet, William Cowper, is a man who clearly appreciates the finer qualities of a comfortable and stylish environment. 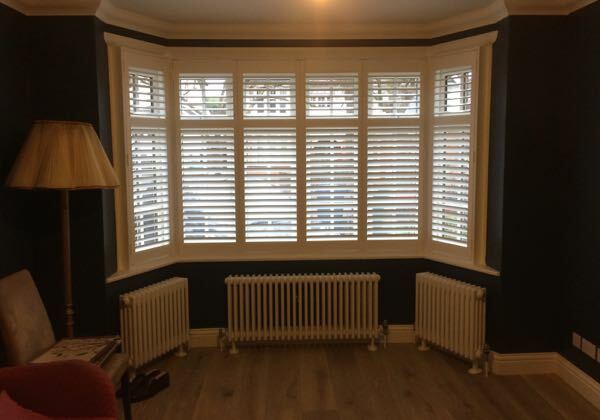 He also seems to know a thing or two about shutters, and would doubtless appreciate the dedication and attention to detail that Affordable Shutters, bring to every aspect of our customers’ requirements in plantation shutters. Invariably a style choice, well-fitted plantation shutters in the right location are meant to add an elegant and finished look, complementing your existing decorative elements. With such a quality installation at the heart of your home, the most critical decision is, arguably, who to entrust with the project. Affordable Shutters have the answer: ‘We don’t employ cold callers – our products are high quality – our customers recommend us to their family, friends and acquaintances.’ So, the advice is: if you know you can depend on the service, you’ll know you can depend on the product. 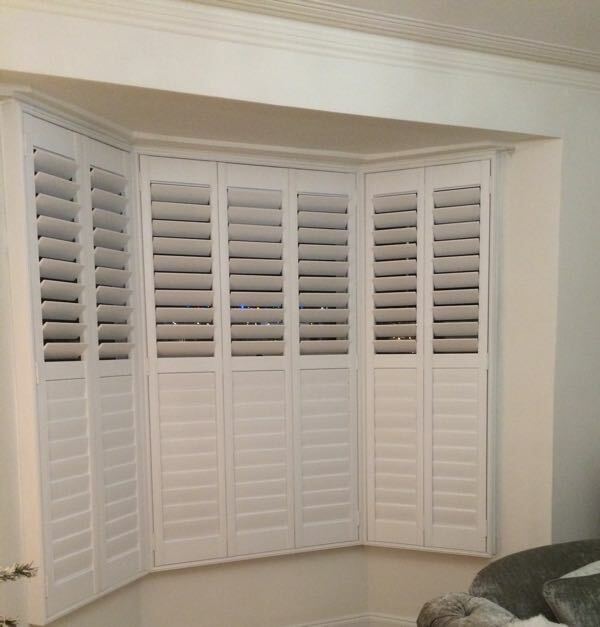 Plantation shutters will give your room that classic style and exclusive look, but they’ll also give you choices. Unlike curtains, which are open or closed, the louvers in plantation shutters allow subtle filter control of ambient light and airflows. Not only ventilation, they can offer a versatile privacy solution too – once again you can flexibly adjust the level of seclusion to exactly match your setting and purpose. 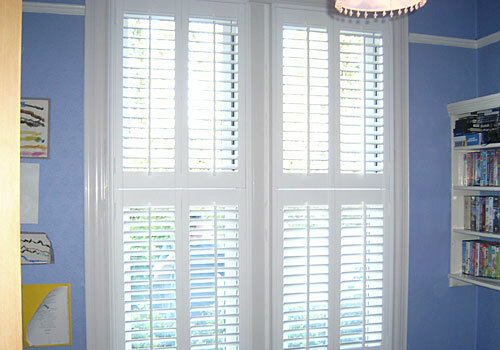 Plantation shutters in the Affordable Shutters range are made from high quality basswood. This is the traditional wood used for window blinds and shutters, preferred because it is lightweight yet strong and stable with a light grain, which is easily detailed. Strong mortise and tenon jointing contributes to the elegant, crafted look of the product. Customers can select from Full Height Shutters, Café Style to add French ‘chic’, or an adaptable Tier-on-Tier arrangement. 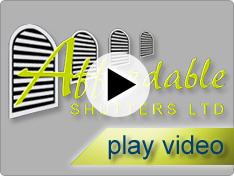 Buying Plantation Shutters in the UK, that are made here in the UK, can be very expensive. That is why we have all our plantation shutters made for us at our own factory in China. 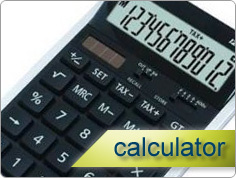 We pass the cost savings on to our customers and as you can read from our testimonials, we have many very happy clients. 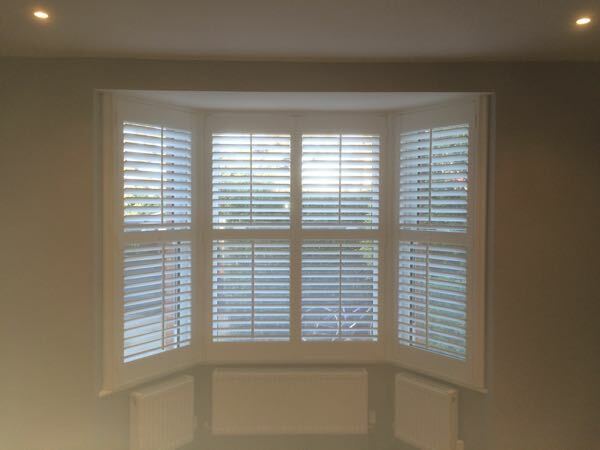 Whether its interior shutters or exterior shutters, the quality is fantastic. Our shutters are all made from the very durable Basswood. The process for buying plantation shutters from us is very simple. The owner (that’s me)Paul, or one of my sons, will come to your home to discuss your needs, then the area is measured and the order taken. We then progress that order to our factory in China and within a couple of weeks, you could have your shutters installed. 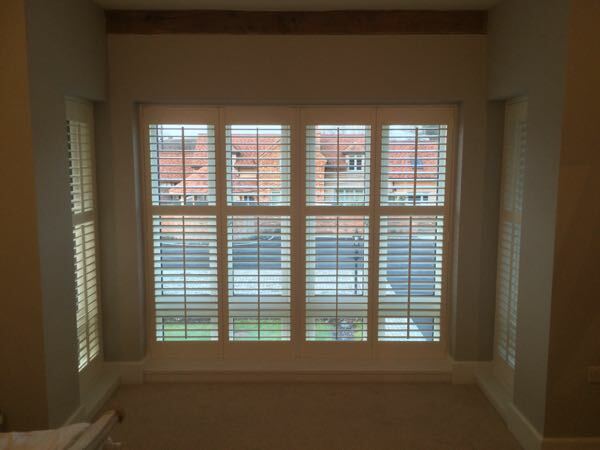 We believe that we offer the very best personal service when it comes to buying and fitting plantation shutters. We are a small family business that relies on complete customer satisfaction. 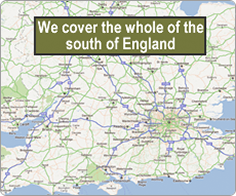 Give us a call, I’m sure you wont be disappointed. 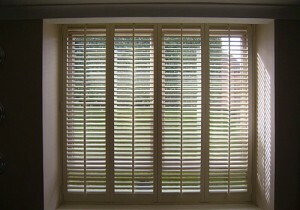 All plantation shutters from us are custom made to fit any type or shape of window. 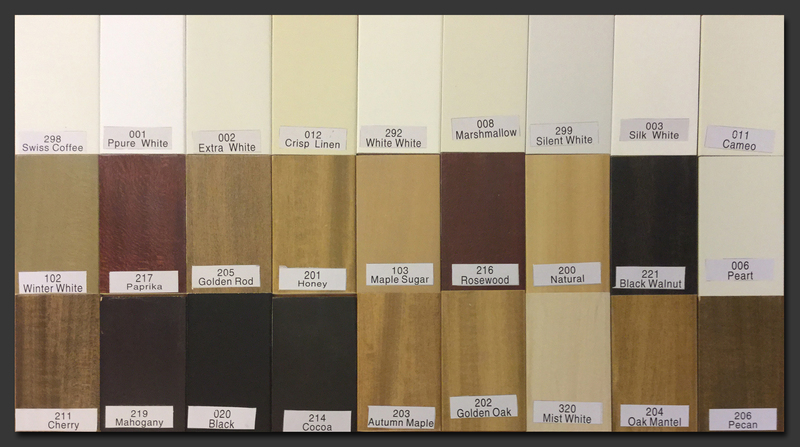 We offers number of options of colours and finishes. 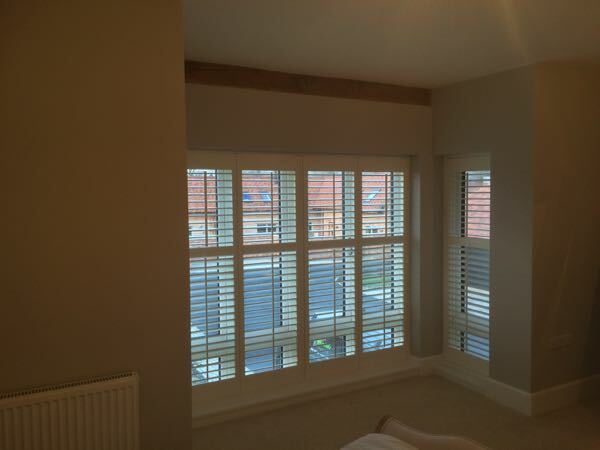 We fit all our shutters to suit your home décor, not the other way around. Whether its the lounge, bedroom, kitchen or bathroom, we strive to meet your design needs. Although there are many types of shutters, like vinyl, teak, teak, oak and composite (fake wood). By far the most enduring and most popular is basswood. Basswood is a natural product that brings a warmth and character and its long lasting and has a greater strength-to-weight ratio in its natural form than any other shutter material ever developed. Of course one of the great strengths of basswood shutters is that it enables more custom shapes including longer louvers and extensions not possible with plastic or lesser materials. Strong but light, basswood louvers can be extended further to create fewer, properly proportioned panels. These panels look better, weigh less and require less framing. 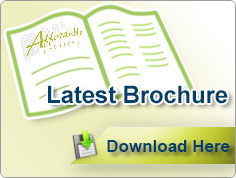 Plastic and other, weak, heavy materials can only extend short lengths before drooping. That is why for residents in Plymouth we recommend basswood shutters above all else.